The day before, activities are carried out on in the schoolyard. Applause for the young people who are protecting the school. 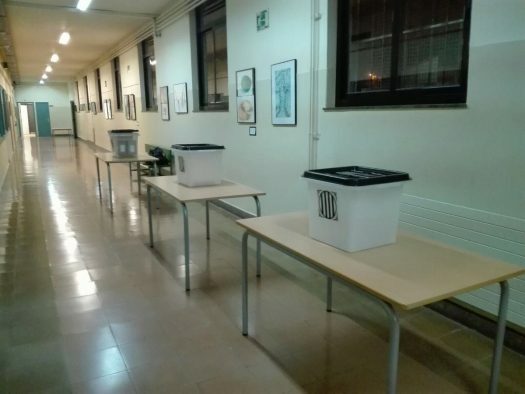 The ballot boxes are already inside. Applause as the polling station opens. 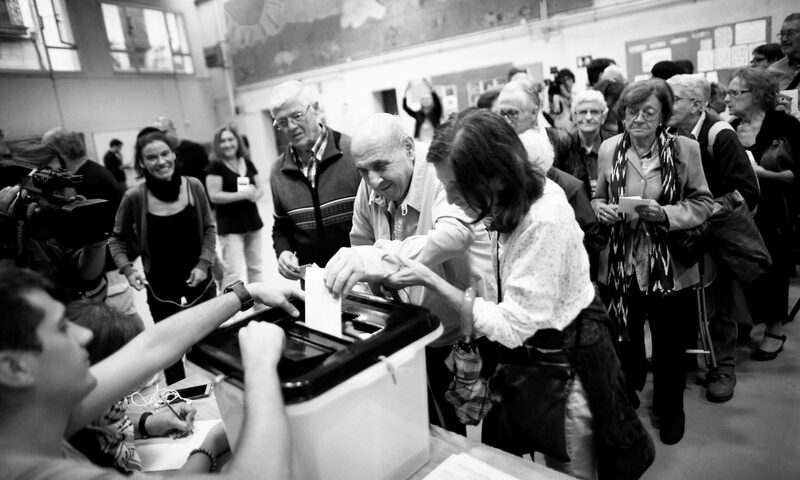 The polling station closes with the singing of the Catalan National anthem "Els Segadors." The last voting table closes and people applaud. Tanquem la última mesa a l'Institut Moisès Broggi. 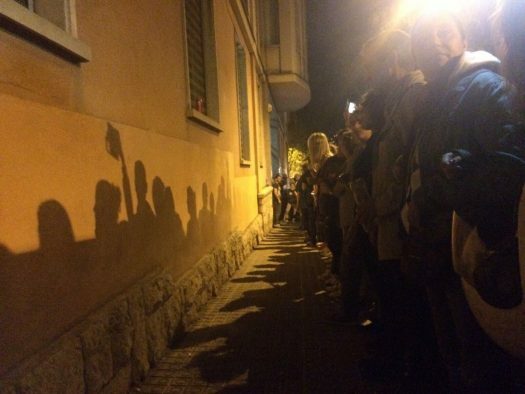 A human chain is formed to facilitate the exit of the election material. 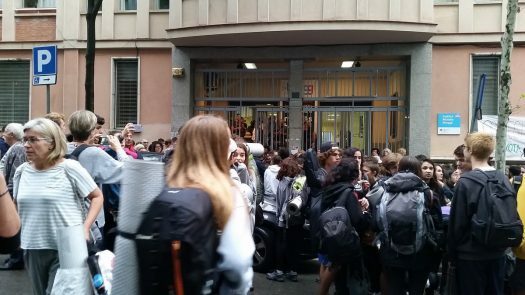 With the polling station closed, the people chant "Independència" ("Independence").